Are you being ripped off by your phone line provider? Why not call or email us for a tailored quotation to see how much you could be saving on 01264 336644 – sbcprovisioning@sbclimited.co.uk. We will analyse your telephone bill for FREE and report on our findings (savings of up to 40% are not untypical). There is no commitment to buy, it’s totally up to you. Feel free to upload a copy of your latest phone bill using the “Choose File” button on the contact form below. Start saving money and get a better service today! 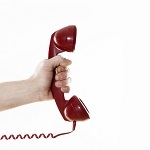 Save money on your business phone lines!